Could a Chromebook satisfy the computing needs of a historian? Over the past twelve months, I’ve been using one to find out. Google’s low-cost, Web-based operating system, ChromeOS, is one of the most unique developments in computing in recent years. It is a lean computer operating system based almost entirely around the use of Web applications and cloud storage. Recognizing that most ordinary computer use takes place in a Web browser, Google decided to make a computer centred exclusively on the Web. With ChromeOS, computing takes place on the internet and the Chromebook is just an access terminal. First announced in 2010 and then released to consumers in 2011, ChromeOS originally appeared on just two consumer laptop models, one by Acer and another by Samsung. By 2015, at least twelve manufacturers produced dozens of different models of Chromebooks. And by the third quarter of last year, Chromebooks accounted for more than half the sales of notebook devices in the K-12 education market in the US. Recently, David Pierce advised college students, “you should seriously consider buying a Chromebook for this school year.” Part of the reason Chromebooks have become so popular in the education market is that they are some of the most low cost computers available to students. Given the growing popularity of the Chromebook in education and its low cost for students, I wanted to know what it was like to use a Chromebook for my own daily computing needs as a historian. Is this a device I would recommend for another historian or a history student? Yes, I would definitely recommend a Chromebook as a computing device for undergraduate and graduate students in history. Yes, I was able to use a Chromebook for my daily computing needs as a historian. Let me now explain why. Last August, I purchased a Toshiba Chromebook 2, a device recommended by The Verge as the best Chromebook last year. Its retail price was $429. The device is powered by an Intel Celeron processor, 4GB of RAM, and holds 16GB of internal storage on an SSD. This wasn’t the cheapest Chromebook on the market, but it also wasn’t the most expensive either. It fell somewhere in between and seemed like a suitable test model for this little experiment. To test the suitability of this Chromebook for my average computing needs, I simply used the device on a regular basis throughout the year. I used it for reading, writing, research, teaching, and administrative duties. It wasn’t the only computing device that I used and I did occasionally return to using a Windows desktop PC and MacBook. But, for the most part, I was able to do most tasks associated with my ordinary work as a historian using the Chromebook. Cloud-computing simplified working from multiple places and multiple devices (home, office, cafes, libraries, etc…). I could move flawlessly from one computer to the next because I shifted my computing to the cloud. I could access all my files regardless of the device, including my smartphone. I also didn’t have to worry about any of my computers failing. 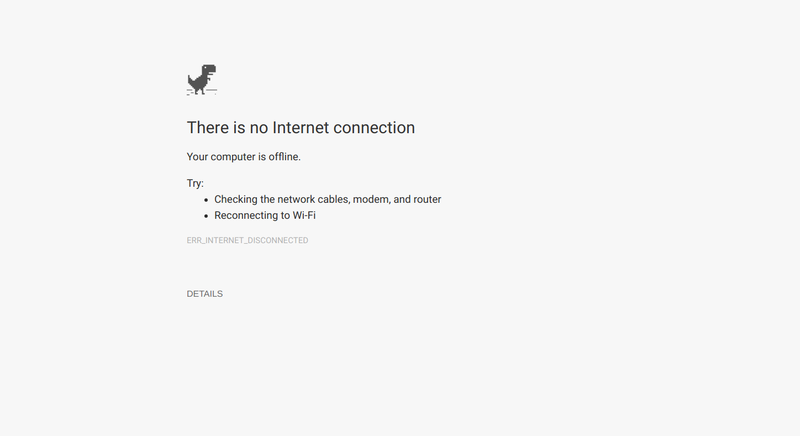 If my Chromebook broke down, I could fire up another one and all of my work would still be saved in the cloud. Lightweight and great battery. Because ChromeOS is a relatively lean operating system and most processing is driven by Web applications, there is almost nothing inside a Chromebook. No optical drive. No magnetic hard drive. No high-powered processor with fans. It feels like a big smartphone! The battery runs for hours and weighs about as much as an iPad with a detachable keyboard. The biggest difference from a tablet computer was that the Chromebook runs the full desktop/laptop version of the Chrome browser. No missing features or awkward interfaces that come with mobile computing on a tablet. Fast start-up. Again, without a bulky operating system, a Chromebook launches very quickly. In fact, it launches faster than a smartphone on start up. Because of this, my Chromebook acted almost like a smart typewriter. When I was working on an article or book chapter, I could quickly flip the lid open and start writing within seconds. Again, this is full start up, not just waking up from sleep mode. I saw a colleague on Facebook complain that his office PC takes up to 20 minutes to fully boot when he starts his day. It took me less than 30 seconds to start my Chromebook and read his Facebook complaint. Still runs fast one year later. The Toshiba Chromebook 2 had good specs when I got it last year. This is key, I think. There are some very low-cost Chromebooks that do not have sufficient processor power and RAM to run ChromeOS well. However, if you get a Chromebook with sufficient specs, it runs more or less at consistent performance without any slow-down over time. Again, this is a benefit of cloud computing. The long-term problems of crud that accumulates in hidden files, registry, and cache don’t seem to trouble Chromebooks as much as laptops with other operating systems. The most significant determinant of the speed of performance is the speed of your internet connection. Low maintenance. This point is related to the one above, but I haven’t had to do any maintenance on my Chromebook over the past twelve months. It is even less trouble than using an iPad because users do not have to manage updates on Chromebooks. All updates take place in the background and are virtually invisible to the user. I’ve never had to stop working to manage an update and I have never had to run regular maintenance to clear cache, free up storage, or scan for viruses. It is difficult to run a virus on a computer that can’t install native applications. To get the most out of this Google operating system, it made sense to make use of Google’s various Web services (Gmail, Calendar, Keep, Hangouts, Drive, Photos, Play Music, Play Movies, etc…). However, I quickly realized that this was not a requirement. Because ChromeOS is primarily just a Web browser, I could use any Web services. If, for some reason, I wanted to use the webmail client for Lotus Notes, that worked just fine. If Google Play Music didn’t have the song I was looking for, I could listen to it in Spotify’s Web player. Because my university supports Microsoft Office 365 and all of my writing and lecture slides were made in Microsoft Office products, I decided to complement my use of Google Web services with some of Microsoft’s Web services (Office Online, Skype on the Web, OneDrive, etc…). By far, reading dominates my daily work as a historian. I read books, journal articles, student assignments, grant applications, reports, and a broad range of other documents. When I think about my computing needs as a historian, I first think about how well a computer serves as a reading device. For better or worse, PDF is the dominant digital document format for academic readers. Its replication of static print pages and preservation of consistent page numbers for citations makes it suitable for scholarly needs. Chromebooks, of course, can load and render PDF files easily. The Chrome browser has its own PDF viewer and files can be stored on the internal hard drive. Cloud storage, however, is where the Chromebook excels. I was able to access my entire digital library with gigabytes of PDF files stored in the cloud. Whether it was Google Drive, Dropbox, OneDrive, or a network attached storage drive, I could access these files for reading just as easily as I could on any Web browser. There was no need to store any files locally. 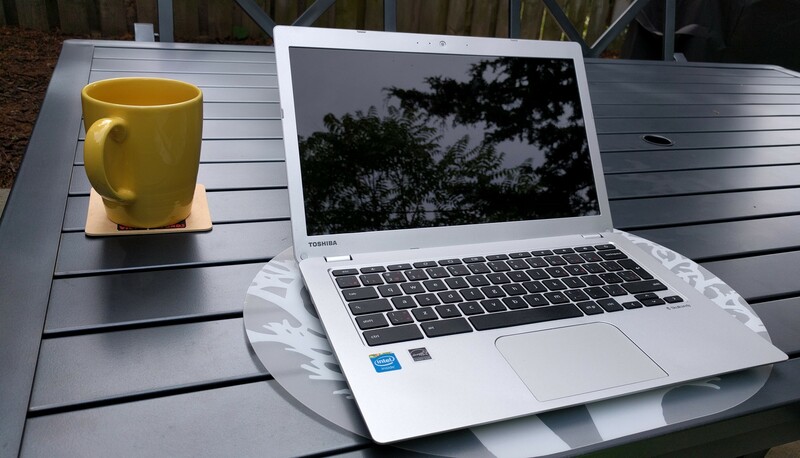 The high-resolution screen on the Toshiba Chromebook 2 was superb for reading both indoors and outdoors. This was more a function of the hardware than the software, but it is a factor I think historians should consider when choosing a new computer. Where the Chromebook fell short in terms of reading was in the area of bookmarking and annotation. Because Chromebooks mainly rely on Web applications, I missed out on some of the features of local applications for reading PDF files. For example, in Adobe Reader, users can choose an option to pick up reading where they left off each time they open a file, an automatic bookmarking system. The same is true in a mobile PDF reading app, such as GoodReader on iOS or EZPDF Reader on Android. I couldn’t figure out a similar solution on the Chromebook. I was also unable to find the same range of annotation options for PDF files on a Chromebook. To annotate a PDF, I had to upload it to a Web application with annotation tools. In my case, I used a tool called DocHub. This is an excellent Web application with nearly all the annotation features I needed. However, it did not synchronize my PDF files with those stored in Google Drive or OneDrive so I was left with having to shuffle files back and forth between DocHub and my other cloud storage services. It was a clumsy solution. Until Google Drive or Office 365 gets a fully-featured PDF reader and editor, this is one area a Chromebook will remain weak. While many of my work hours are filled with reading documents, I also do quite a bit of writing as a historian (believe it or not). Historians write lectures, articles, reports, blogs and even books. I was able to satisfy nearly all of my writing needs on a Chromebook. Microsoft Word remains the dominant word processor in my life. Most academics, I think, would agree that this software is still essential. In part, this is because it is the best word processor for handling footnotes/endnotes and for managing reviews with “Track Changes.” For the most part, Google Docs is perfectly capable of replacing Microsoft Word. Its footnoting system still needs work and it now supports its own version of “Track Changes” called “Suggestion Mode.” But these two systems are still missing from the mobile version of Google Docs so Microsoft Word remains the best word processing application for academic writing in my books. What some readers might not realize is that Microsoft Word and many of the other applications in the suite of Office programs are available as free online Web applications. With an Office 365 subscription, you get access to the full features of these online Web applications and additional cloud storage in OneDrive. Since my university provides faculty and students with Office 365 subscriptions, this was the best solution for me and a good case for thinking about using a Chromebook. When using my Chromebook, I wrote lectures, draft articles, book chapters, book reviews, reports, notes, and more using Microsoft Word Online. When Microsoft first launched the Web version of Word, it was not very good. It lacked many of the features of the desktop version. Today, Word Online has improved considerably and, in my view, has surpassed Google Docs in terms of supporting the critical citation tools that make the desktop version of Word such an indispensable tool for academic writing. This is not to say that I completely eschewed Google’s word processing, spreadsheet, and presentation Web applications (all part of Google Drive). Most Chromebooks come with an additional 100GB of cloud storage on Google Drive, thus enticing users to adopt Google’s Web applications. Google Drive and its applications were most useful for collaborative writing. I co-authored a book chapter with a colleague in Australia using Google Drive and Google Docs on my Chromebook. Authors can write in a single document simultaneously with an integrated chat window in the sidebar. This eliminates version control problems and facilitates new levels of collaboration. When the sun set and I finished writing for the day, I could leave comments and notes for my co-author who picked up where I left off as the sun rose on the other side of the planet. These applications were similarly useful in managing budgets for projects with a shared spreadsheet in Google Sheets and maintaining a schedule of activities with a shared calendar in Google Calendar. This type of collaboration is also possible with Microsoft Office’s online applications, but they didn’t seem to work as flawlessly or easily as Google Drive. Articles, book chapters, reports, and lectures are the predominant forms of long-form writing in my daily work. But I also engage in a lot of short-form writing. For blogging, the Chromebook made a lot of sense. When I write on this blog, I use the WordPress content management system dashboard. This works in any Web browser and is therefore well suited to the Chromebook. When I take notes, I use Google Keep, a Web-based note-taking application, but I could also use Evernote or any other similar Web application. And, of course, the bulk of my short-form writing is in email. Using Gmail as my primary email client made the Chromebook a perfect fit, but Outlook users can just as easily use Microsoft’s Web application to manage email on a Chromebook. Even die-hard Yahoo Mail fans can thrive on a Chromebook! The Chromebook met most of my research needs, but I never felt comfortable using it as my primary computer during an archival research trip. Why? Internet access. Historians know the limits of internet access when they venture out into the archives. There is, of course, no consistent experience. Some archives have superb wi-fi connections while others have none at all. Wi-fi is notoriously slow and unreliable at most hotels too. 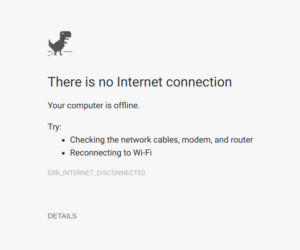 Without a stable internet connection, my Chromebook was essentially dead. You can do some work offline on a Chromebook, but you won’t have access to the full range of Web applications and I always worried about potential synchronization and version control issues. The Chromebook worked flawlessly when I did research at my university and local libraries. The wi-fi is a known quantity so I felt comfortable relying on a Chromebook. Out in the field during a major archival research trip, I was back to a Windows or MacOS laptop. As with most of my other tasks, the Chromebook was an excellent device for my teaching needs, but it did have limits. For writing lectures and preparing PowerPoint slides, Microsoft Office Online worked well and synchronized with my OneDrive account. I could walk down to my lecture hall, pull up OneDrive on the classroom PC and launch my PowerPoint presentation without any trouble. Because much of my teaching combines in-class time and online teaching via Moodle, the Chromebook once again served my needs well. I moderate a weekly online discussion for each of my courses in Moodle and I manage all my grades in Moodle. Pulling up Moodle on a Chromebook is just a matter of opening a Web browser. The entire foundation of the idea of Chromebooks applied perfectly for my online teaching: most of what we do happens in a Web browser. In seminar, I only occasionally used my Chromebook. This was not really an issue with the operating system or software. It was a hardware issue with the footprint of a laptop. When I teach a seminar, I prefer to use a tablet, like an iPad. I find it less obtrusive in seminars where the purpose is to facilitate face-to-face discussion. The tablet lies flat on the surface of the table and doesn’t sit as a wall between me and my students. I do teach with a laptop (including my Chromebook) from time to time, but the footprint and portability of the tablet works much better in a situation when I’m in a circle with student and occasionally get up and walk around the room. Laptops are portable, but just not as portable as a tablet. Now, a convertible Chromebook/tablet might do the trick. Chromebooks can work well for historians and history students. In 2010 at the D8 conference, Steve Jobs and Steve Ballmer had a engaging discussion about the future of personal computing. Jobs famously used the metaphor of cars and trucks to describe tablets and desktop/laptop computers respectively. Most users, he argued, just need a car. Some occasionally need a truck. Six years later, the personal computing landscape for historians and their students looks a lot different than just a world of tablets and desktop/laptop computers. Personal computing is spread across a number of different types of devices: desktops, laptops, tablets, “phablets,” smartphones, smart watches, personal voice assistants (think Amazon Echo), TV media boxes, video game consoles, and even our thermostats. I once joked in class that I would give a bonus mark to a student who wrote her entire final essay on a smart watch. As historians and as history students, we now have a range of choices when it comes to personal computing. Do we need trucks, cars, motorcycles, bicycles, or roller skates? Whatever a Chromebook is (compact car? ), it satisfied my ordinary computing needs as a historian and only occasionally fell short. When it did, I powered up my Windows desktop or MacBook. But I don’t often need to use those trucks and most of the time, a small car did just fine. Sean Kheraj is an associate professor of Canadian and environmental history at York University. You can follow his work at http://seankheraj.com. This is fascinating. I work fulltime online on an expensive top of the line macbook pro, but bought my wife the exact Toshiba last year. I have borrowed it a few times to see if I could do everything that I can on the mac and found that yes, I could quite easily. I always worry when travelling about with such an expensive machine, and thought that on my next switch I might go chromebook full time; if it gets lost or stolen it is not so onerous, and you don’t lose any data. Sounds like you had a similar experience with a Chromebook. One thing that occurred to me afterwards was that travelling abroad with a smartphone that can create a mobile hotspot might be a good way to avoid the problem of not being able to find an internet connection for your Chromebook. When traveling in Europe, I’ve found the cost of purchasing a local SIM with 5-10GB of data to be quite affordable.